When looking for a rental property in Baltimore, prospective tenants have many decisions to make. Along with what the interior of the unit looks like and which amenities are available, people also want the exterior of the building to look nice, for common areas to be well-kept and welcoming, and many have a preference whether the property is professionally managed or not. In other words, landlords must go beyond hardwood flooring for a rental property and other rental property trends, and instead must give new tenants a look into the whole package. What Do Tenants Want in their Units? When it comes to rental property upgrades, kitchens and bathrooms are where you’ll get the most bang for your buck. Nearly every tenant will appreciate a recently renovated space in these rooms, and many renters are looking for top-of-the-line finishes such as granite countertops and stainless-steel appliances. Smart appliances and features such as smartphone integration are also making their way to the top of tenants’ wish lists. The good news about these upgraded appliances is that you’ll be able to keep tabs on maintenance and troubleshooting issues which can make some management tasks a bit easier. When considering upgrades for your rental unit, budgeting for washers and dryers in each unit will help keep your vacancies down. Nearly all new construction is including these appliances in each unit rather than a community laundry space or no laundry room at all. Busy lifestyles and tight schedules mean trips to the laundromat or shuffling heavy baskets down to the basement are becoming a thing of the past. Finish off the rest of the space by considering the best paint color for a rental property such as neutral grays, tans, and creams. Stay away from bold colors that can interfere with a tenant’s personal taste or worse, a stark white that can turn any rental unit into a cold, institutionalized space. Pay attention to places where you can add creative storage solutions, too—especially if your rental space is on the quaint size. Renters appreciate having a place to put all of their belongings that keep them out of plain view, and kitschy creativity can win you big points when you unveil hidden gems and unexpected storage spaces. Safety, security, and a clean building in good repair are what today’s tenants are looking for. Single-family homes do not need to have extensive landscaping with a hefty maintenance bill, but the lawn should be in good shape and plants, bushes, and other greenery should be regularly trimmed and maintained. Siding should be clean and free from major damage and the entire exterior should be free from chipped paint and other eyesores. Multi-family properties should be in the same condition as single-family homes, but a little extra attention should also be directed to common areas. Dirty, aged carpeting, dingy and poorly-lit hallways, and unwelcoming entryways are a quick turn-off. Instead, invest in these spaces so they are fresh and include security features such as cameras and bright lighting. It’s important to maintain proper upkeep on your property not only to ensure it’s aesthetically pleasing to potential renters, but also to ensure the bones and structure of your space stay healthy. For example, it’s best to have your roof professionally inspected at least once a year, preferably twice. Doing so will ensure your tenants aren’t caught off guard with leaks, mold, and mildew that usually occur when roofs aren’t properly maintained. Catching this type of situation before it erupts into a problem can save you tons of money down the road, both in the cost of repairs, as well as replacing any damaged property your renters would suffer. 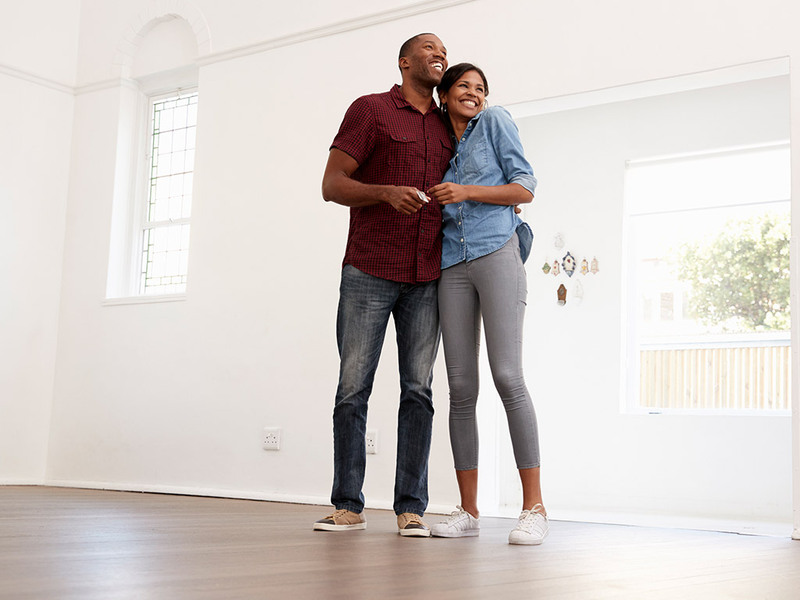 When searching for a property to purchase as a rental, spend extra time looking into the neighborhood of the building, as it’s a critical element for most renters–especially those of the younger generations. Millennials, in particular, want friendly, walkable neighborhoods with plenty of amenities nearby. Destinations with casual and trendy dining, nightlife, and dog-friendly parks are a must for happy tenants, as well as plenty of shopping options, especially for staples such as groceries, pharmacies, and clothing. When possible, people would rather not get into their car and drive–especially city dwellers who don’t want to fight with parking and traffic. Up-and-coming neighborhoods can obviously bring with them outstanding returns on investment if you get in at the right time and know how to navigate. Bear in mind, however, that there’s a fine line—at least in the eyes of renters—between still-too-dangerous to inhabit and soon-will-be-trendy. You don’t want to dump all of your money in a neighborhood that won’t be awesome for two more decades, but you need to find a way to fit into the scene while changes are still occurring. If you do it right, you’ll attract a specific type of tenant who’s drawn to that exact type of lifestyle. For buildings you already own, there’s not much you can do about the neighborhood, but consider who you’re marketing to when trying to fill vacancies. Suburban locations that demand at least one car per household may not be very attractive to younger individuals or working couples. Instead, those neighborhoods may be more appealing to families and people who are already accustomed to this lifestyle. The interior of your rental unit may be a primary concern for your prospective tenants, but it’s far from their only consideration. While you want to invest the time and budget on upgrades, repairs, security, and cleanliness inside your units and buildings, the exterior factors will also be important for a renter’s final decision. In fact, if the outside looks like it comes from the pages of a horror novel, nobody’s going to care what it looks like inside; many prospective tenants may opt out of even entering your apartment in the first place. Make sure you’re doing as much as you can to improve the factors you can control such as lighting, security, paint, and repairs and that you’re marketing to the right audiences for elements you cannot control such as neighborhood amenities and walkability. The right marketing will bring perfect tenants to your front door. Poor marketing will just waste valuable time and resources on people who aren’t likely to be interested in the property you’re offering anyway. Marketing to prospective tenants is as much an art as it is a science. If you’re not sure how to get the right renters’ attention, don’t spin your wheels on stuff that may not work. It’s best to invest in a professional property management firm that speaks the marketing lingo your future tenants are looking for. Are you a landlord who’s trying to attract the right tenants to your rental property? Bay Management Group specializes in tenant screening to ensure the best and brightest rental candidates arrive at your door. Our full-service suite of property management services includes marketing our clients’ rental properties, identifying top potential tenants, and taking care of your renters’ needs with our team of 24/7 on-call property managers. Ready to see why we’re all the buzz in the Baltimore rental market? Start with your free Property Management Analysis today!